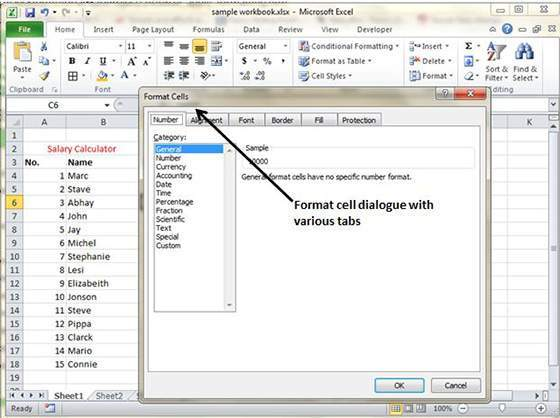 MS Excel allows users apply formatting to the cells or range of cells. It can be done by right clicking, followed by Format Cells, then Select the tab. It has various tabs that offer more options. • Number – Set the format of cell as numbers. • Alignment – Set the alignment of text. • Font – Set the font of text. • Border – Set the border of cell with this tab. • Fill – Set fill of tab with this tab. • Protection – Set cell protection with this tab.